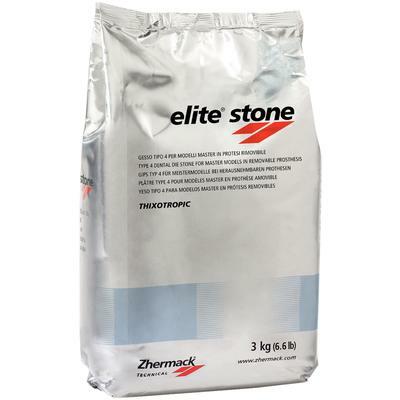 Elite Stone, Navy Blue - ZHERMACK INC. The Elite Stone is a Type 4 dental die stone for models in removable prostheses. Production of models for chromes, removable prostheses and antagonists.